For growing businesses with big plans. Discover a Financials product that takes financial collaboration to the next level and delivers savings of up to 200%. As part of the Sage Business Cloud, Sage financials is all you’ll ever need to manage your business finances. Harness the power of collaboration using a unified data set that allows you to get real-time business insights wherever your business takes you. Connect to apps on the Salesforce App Exchange and open the door to endless possibilities. Your business has more than one dimension, and your financial management solution should too. With multi-dimensional capabilities, you can look at your business in new and insightful ways across geographies, products, business units, and more. Transform your accounting into forward-looking forecasts to enable you to stay ahead. Ignite productivity by uncovering insights that allow you to ask meaningful questions and answer them through powerful real-time reports and dashboards. Customise and configure changes on the fly so you can easily scale your business. 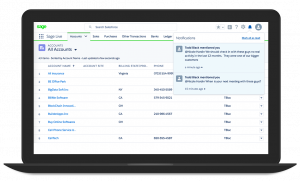 Sage Business Cloud Financials is built on the Salesforce platform, so link your sales, accounting, banking, invoicing, and payments with the world-leading Salesforce CRM. Apptituda will help you to create fully integrated back office system including Sage Business Cloud Financials cloud based accounting, inventory, e-commerce and payment systems using the best cloud based applications available. What can Sage Live do for your business? 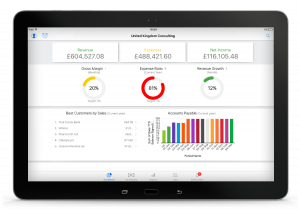 Sage Business Cloud Financials dashboard shown on a tablet device. Sage Business Cloud Financials Desktop. 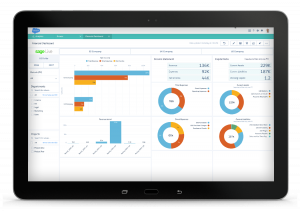 Sage Business Cloud Financials accounting overview shown on a tablet device.